Shrub/tree 10-25 ft (3-8m) Light colored odd-looking flowers with super thin wild shrivelled petals that look like a yellow spider. Bark and leaves are astringent, anti-oxidant tea used for bowel conditions like hemorrhoids, diarrhea, inflammation of mucus membranes, lung conditions, bronchitis, heavy menstrual periods, internal bleeding, stomach ulcers, varicose veins, mouthwash, bleeding gums. Applied externally for skin conditions, itching, bruises, bleeding wounds, insect bites, sore muscles, eye problems, hemorrhoids. Bottled liquid witch hazel sold in stores has toxic chemicals and does not contain many of the healing properties. Make your own ! 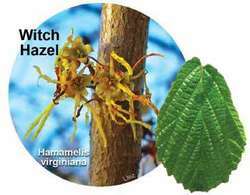 Writing about witch-hazel makes me realise just what a vital role scent plays in a garden. AUTUMN |Amaryllis add colour and GARDENS as WINTER Witch-hazels do not need a rich diet and rather than piling on the fertiliser, a gentle fillip from organic matter is all the stimulus they need. Witch-hazels do well in shade and if there are clumps of woodlanders such as Solomon''s seal, smilacina and lily-of-the-valley nearby, they add to the autumnal show as their bold leaves turn to amber. First, there's the Chinese witch-hazel, Hamamelis mollis , a tall shrub reaching 3. A hybrid between the Chinese and Japanese witch-hazels, Hamamelis x intermedia, is the parent of several outstanding varieties that grow 3. Witch-hazels do well in shade and if there are clumps of woodlanders such as Solomon''''s seal, smilacina and lily-of-the-valley nearby, they add to the autumnal show as their bold leaves turn to amber.